Here at Aaron’s Electrical Services, we provide high-quality and affordable commercial electrical repairs and replacements to offices, warehouses, and buildings in Houston, TX. Our fully licensed and insured technicians have the training, experience, and expertise needed to handle any commercial electrical job, whether it’s installing new ceiling fans and lighting fixtures or performing complete lighting retrofits. We take great pride in the quality of our work and strive to maintain the reputation that we’ve built for our excellent customer service. Our goal is to ensure 100% customer satisfaction, and we go to great lengths to achieve this. In fact, we even provide a 100% satisfaction guarantee! When you reach out to Aaron’s Electrical Services, our friendly staff will set up an appointment at a time that is convenient for you. We will determine the cost of the commercial electrical work you require and provide an accurate estimate. We are very transparent about our prices, which means that you won’t have to worry about hidden fees. 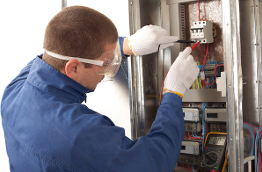 For all of your commercial electrical repairs in Houston, TX, contact us online or give us a call at (832) 702-4263! Here at Aaron’s Electrical Services, we can not only provide electrical upgrades, replacements, and repairs to all kinds of commercial spaces, from retail stores and restaurants to office spaces and more, but we also offer emergency electrical services 24 hours a day, seven days a week. We understand that in a commercial setting, any kind of electrical problem can result in lost business, which is why we are available at all times to help get your commercial building back up and running as soon as possible. The following are some of the commercial electrical repairs and installations that we provide to customers throughout Houston, TX and the surrounding areas. Why Choose Aaron’s Electrical Services? Our electricians aren’t just trained to perform high quality commercial electrical work, they are also trained to provide top-notch customer service. This means that you can expect friendly, courteous, and clear communication from all of our Houston commercial electricians. If you have any concerns or questions about your replacement or repair, all you have to do is ask any of our insured and bonded contractors and they will be more than happy to answer. We know the importance of aesthetics, which means that if we are installing any new fixtures, we’ll make sure that they look like they’ve always been in place. We also always clean up behind ourselves, ensuring that your building, warehouse, or office is left in the condition it was in before we arrived. 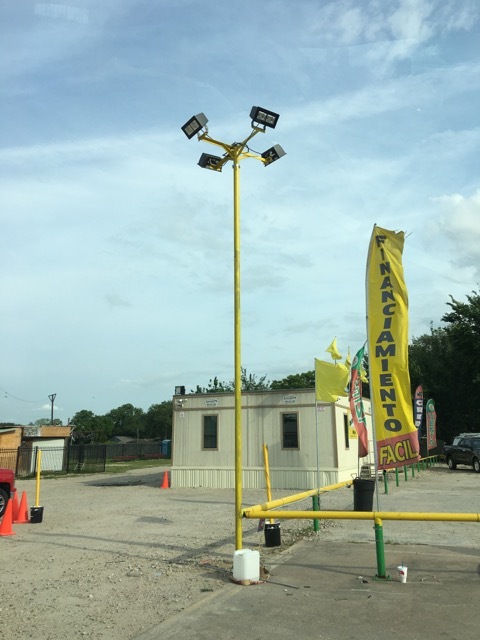 If you’re in need of commercial lighting services or breaker panel repair or replacement in the Houston, TX area or the surrounding areas, then be sure to get your free estimate by contacting us online or calling (832) 702-4263! Montgomery County: Conroe, Magnolia, Montgomery, New Caney, Oak Ridge North, Panorama Village, Patton Village, Pinehurst, Porter Heights, Roman Forest, Shenandoah, Splendora, Stagecoach, Willis, Woodbranch, Woodloch, and more.